WP-Tonic offers comprehensive WordPress Update Services for owners and operators of WordPress LMS and membership sites, including WordPress support and maintenance. If your website is built on a WordPress LMS, we can ensure that your website is updated regularly, promptly, and safely — and we’ll do so almost as soon as the periodic WordPress, theme, and plugin updates are released. This is an integral part of our WordPress website maintenance services included in our WordPress Care Plans for WordPress LMS and membership sites. Within our service portfolio, we offer three plans. Click the button to choose the WordPress update, maintenance, and support plan that fits/fulfills your needs. If updating your WordPress website core files, themes, and key plugins has become a “cross my heart and hope to die” type of situation, we can take over and ensure you spend less time worrying about website maintenance and more time focusing on your business. If you have a WordPress LMS or membership site, you can’t afford for your website to be down even for a moment. We keep your WordPress website running smoothly so you can keep your promise to your customers to deliver the content they signed up for any time of the day or night. 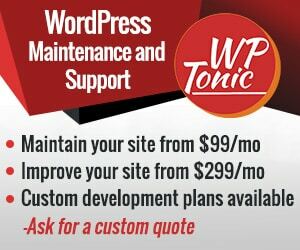 With WP-Tonic, you get a real WordPress developer backing up and updating your site — this includes WordPress core files, all your website themes, and your plugins. WordPress updates frequently, and all good plugins and themes are updated regularly as well. If you don’t keep up with these updates, your WordPress LMS and membership website can suffer, and, if you neglect these updates for long enough, your website may actually break, depriving your clients of their content. To keep your site up-to-date, we will safely update your LMS website’s WordPress core files, plugins, and themes. We will do everything it takes to keep your WordPress website online 24/7. Take a look at our WordPress Care Plans and choose the plan that works best for you. WordPress LMS and membership websites built on learning management systems (LMSs) must be up and running at all times. Your membership site simply can’t go down because of WordPress update issues, period. At WP-Tonic, we understand the unique needs of WordPress LMS and membership sites. We don’t just provide website maintenance — we provide the peace of mind that your website will always be up-to-date, and that, if there are issues with your plugins, your themes, or with WordPress itself, you’ll have a real WordPress developer on hand to help you navigate the problems and find a solution. Every WordPress LMS and membership site has different needs, and unfortunately, though WordPress is popular, it cannot satisfy the needs of your unique business out of the box. That’s why WordPress plugins and themes exist. 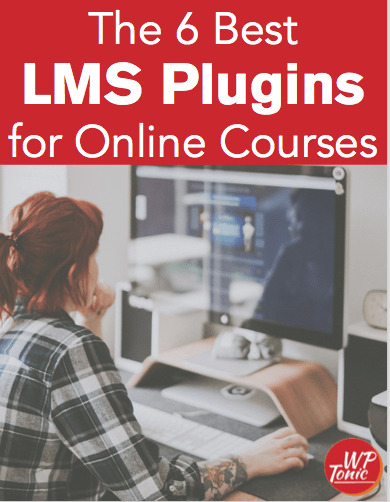 If you employ a WordPress LMS, you have a variety of installed plugins and themes that simply must be kept in working order and maintained at all times. Even a small change might cause a problem for your clients, something you can’t afford to happen. When WordPress developers, theme developers, and plugin developers release critical updates, you need your website updated, and you need it fast — we ensure that happens for you as part of the full suite of services you get with our WordPress Care Plans. Get your plan now — click to learn more.